Like half of Canada, Neil Lane grew up playing hockey. Raised in Niagara, he describes his playing ability at the time as more participatory than purposeful. While he didn’t hit the big time on the ice, Neil has made a business out of watching hockey. His company, Stathletes, tracks performance metrics for hockey games. Founded in 2010, the business came about when one of Neil’s co-founders, John Chayka, a former junior hockey player whose playing career ended due to a back injury, started a hockey school. He was looking for a way to use statistics to help prevent other players from getting injuries like his. John asked Neil, who was (and still is) dating his sister Meghan, also a co-founder, to help develop statistics software for the company. 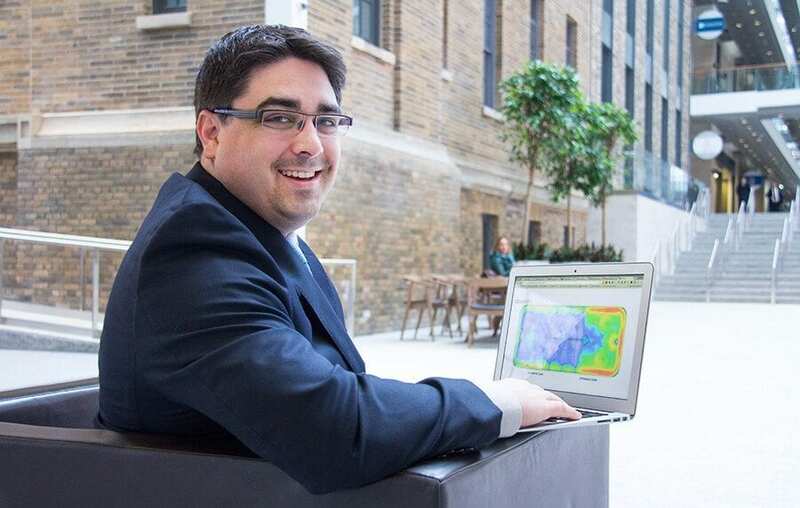 A finance graduate from Brock University, Neil jumped on board. 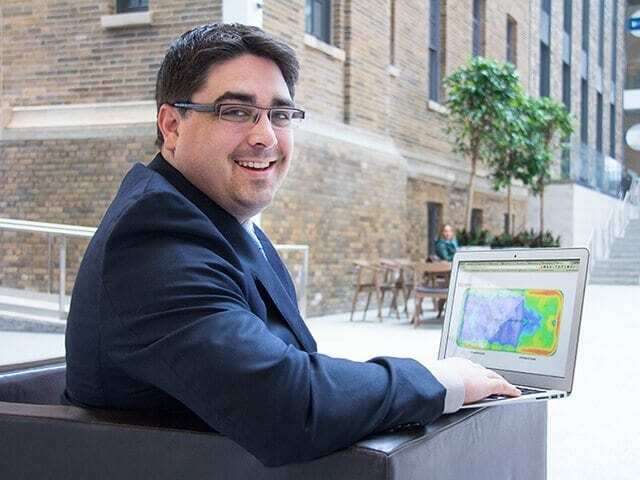 He had previously worked at McCain Foods as a business analyst, bridging the gap between coders and business stakeholders. What started as simple macro inputs in Excel quickly turned into a business. “At the time, John was tracking player performance the same old way he learned from the industry. I said, ‘Why don’t we figure out a way to do it faster?’” Neil explains. Fast-forward to today and Neil is the CEO of Stathletes and has created the company’s own data collection software, a rules-based computer program that looks for specific criteria in hockey games. Currently, the company has 55 people on staff, 40 of which are responsible for watching hockey games and using the software to manually input what they see. “Every time a player touches a puck, we measure it,” says Neil. The stats go beyond goals and assists. Approximately 600 plays and 100,000 pieces of data are collected by hand per game, including nuances like whether a player was pressured to make a particular play, a distinction only a human can help capture. The collected data is valuable to coaches and managers who are looking to use it as a coaching device. For example, if the data reveals that a player regularly hesitates during a certain play, coaches can work with the player to adjust their game. The company provides game analysis on not only their clients’ teams, but also on opposing teams. Other sports franchises, such as baseball and football, have engaged in “moneyballing” for years, a term popularized by Michael Lewis in his book Moneyball: The Art of Winning an Unfair Game, which described how sports teams use data to predict players’ potential and success rates for game strategies. Hockey is a different story. So how do you tackle a massive market like the NHL? You hustle. Neil and his team got to work pulling on all of their contacts, including Pat Brisson, Sidney Crosby’s agent. “We got to know influencers around our customers, including top players and their agents. When people around a team or a player give you soft entry, it’s invaluable. It was a lot of time chipping away and building relationships slowly,” explains Neil. Stathletes’ humble origins—starting in a basement in St. Catharines—mask its big customers. The company has NHL teams on board and more than $1 million in annual revenue. In 2014, Stathletes locked in two teams from the NHL’s Eastern and Western Conferences that paid a premium to be the only ones with access to the company’s analytics. Neil Lane’s company, Stathletes, provides sports analytics for hockey teams. Last year, Neil’s co-founder John joined the Arizona Coyotes as assistant general manager for analytics, putting his analytics knowledge to work for the team. Over at Stathletes, Neil anticipates he’ll have even more cutters, who are paid by the game, on staff by the end of the year. Many of the company’s employees are former junior hockey players who bring a unique understanding of the game that is perfect for data collection. Canada has 500,000 registered players, Neil says. Neil’s advice for budding entrepreneurs is to enjoy the unexpected moments of the ride. “As the CEO, there are those moments when you sit back and think, ‘Wow, I made it.’ There are the obvious milestones—making the first sale, hitting a certain revenue figure—but it’s those unexpected moments that hit you the hardest,” he says.